"My silence is my self defense." © 1989 Sony BMG Music Entertainment. The closing song on Storm Front is the heart-breaking ballad "And So It Goes." The song is a about a doomed relationship or imminent break-up. Billy originally wrote it in 1983 when he was briefly dating model Elle McPherson. He has said that he knew the relationship was not going to last because of various career and professional commitments that each had. It was not released on 1983's An Innocent Man, however, since it did not fit into the retro style of that album (one wonders why it was not put on 1986's The Bridge). Fortunately, Billy did release it on Storm Front because it is one of his most moving and authentic songs. The words and emotions are so raw, you can hear his heart cry ("every time I've held the rose, it seems I only felt the thorns" and "I would choose to be with you, that's if the choice were mine to make"). He is at his most vulnerable and open. He is openly telling her that "you can have this heart to break." She apparently did. Billy on "And So It Goes" from SiriusXM. As music critic John McAlley wrote in a Rolling Stone review of Storm Front from 1989: "In dramatic fashion, Joel provides the otherwise tempestuous Storm Front with a coda of exquisite grace. The hymnlike "And So It Goes" takes the record's turbulent emotions and stills them in a moment of quiet revelation. Accompanied only by a piano and a discreet synthesizer, Joel proposes emotional vulnerability and reconciliation to life's uncertainties as a route to secular redemption. It is a note of startling maturity, at once mournful and bracing. And as the final word on an album that takes a serious look at a troubled world, it reflects the hard-earned wisdom of a no longer innocent man." Billy's spare piano accompaniment is perfect for the subject and mood of the song. The music is almost anthemic, like a funeral dirge or hymn. It could have been an early 20th century American popular song, or a Scottish or Irish folk paean from the 17th century. 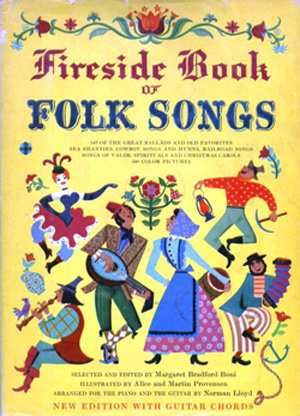 On the Sirius XM channel in 2016, Billy explained that when he was young he had a songbook of folk songs - the Fireside Book of Folk Songs. One of the songs in the book, the old English folk ballad "Barbara Allen," inspired the music to "And So It Goes." Listen to Billy explain this (right) from SiriusXM. View a performance of "Barbara Ellen" by Blackmore (below, right). 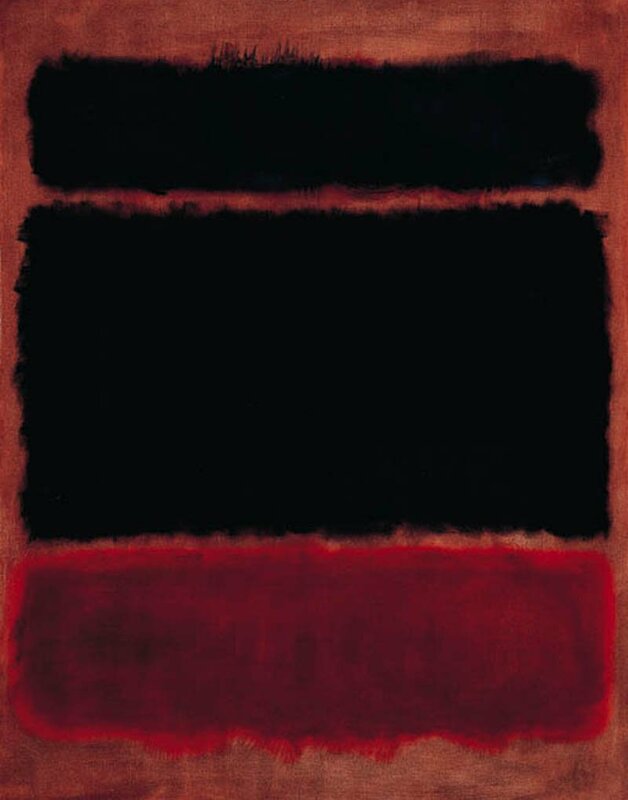 "Black in Deep Red" (1957) by Mark Rothko. Rothko's paintings instantly convey an emotion or feeling without words. There is something foreboding about this painting, like the red flag storm front warning on the Storm Front album cover. Billy on the music for "And So It Goes" from SiriusXM. "And So It Goes" was released as a single, reaching #37 on the Billboard charts, but is often overlooked on collections and discussions about Billy Joel's work. In an interview on the Howard Stern Show in 2010, when asked which of his songs he feels is least appreciated, Billy played "And So It Goes." Still, many school choirs and other groups have covered the song. Jennifer Warnes does a great cover version on her 2001 album, The Well. Guitarist Tommy Emmanuel also does a nice version. Two of my favorite instrumental cover versions are by Lily Clarke on acoustic guitar and Jori Chisholm on bagpipers; see videos below. Storm Front may have been a blues-rock album with an esoteric number one hit ("We Didn't Start The Fire"), but "And So It Goes" is a reminder that Billy Joel can still render the most beautiful ballad. Billy performs "And So It Goes" at the Grammy Legend Awards on December 11, 1990, with an intro by James Woods. Billy began playing "And So It Goes' in concert in the mid 2010's. Here is a version from 2015. This a lyrics video for "And So It Goes" by Megan Smith. Blackmore performing the old English folk ballad "Barbara Allen"
There are a million covers of "And So It Goes." Here is a nice one on classical guitar (no vocals) by Lily Clarke. "And So It Goes" on bagpipe, by Jori Chisholm.